My wife knows stuff about wine – mostly how to drink it. She doesn’t normally purchase wine, instead entrusting me with that task and then letting me know if she likes it or not. Between you and me [and i guess her, since she will probably eventually read this] she likes more than she doesn’t. So this week, while on vacation without me in Florida, she was forced to take matters into her own hands and pair wine with food. The food? The finest donut in ‘Merica that isn’t made by Krispy Kreme – Entenmann’s. This is what she came up with. Oh, i just started salivating. I am very impressed with her pairing – American Cab Sav with Entenmann’s chocolate covered cake donut. It’s so affirming that after 22 years of marriage she can instinctively pair these classic ‘Merican foods. Don’t tell me our friends south of the 49th parallel don’t understand food. The folks at Bogle [also the name of a fascinating family favourite word game – alliteration acknowledged] make a fine cabernet sauvignon. So find your favourite Cabernet and your favourite donut [somebody please use a boston cream] and let me know how it goes. 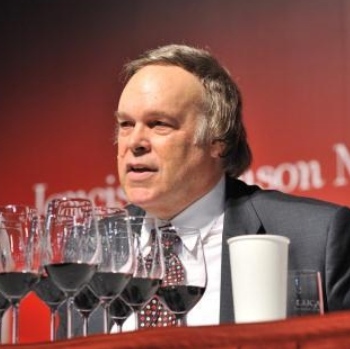 Spanish winemaker Miguel Torres knows what he’s doing – so when I read that his Cabernet Sauvignon was discounted $3 I hopped into my wife’s Mini Cooper to get some. 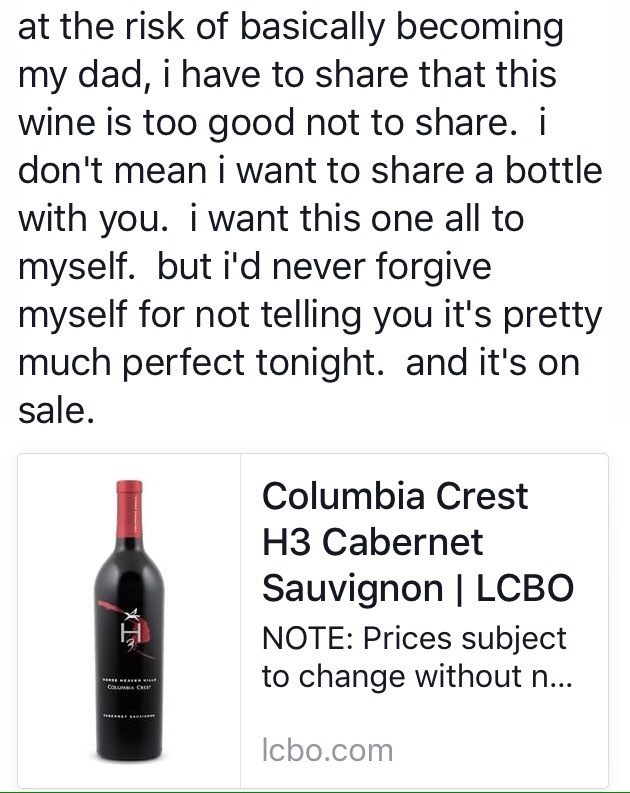 “Hey”, I said to myself, “Great winemaker, Cabernet Sauvignon, a great region, and it’s on sale!”. It’s still on sale all this month in Ontario. From the LCBO Website Over the last 130 years the Miguel Torres winery has almost single-handedly built and maintained the reputation of the Penedès region, and this wine shows why. Structured with intense fruit flavours and silky tannins this full-bodied Reserva displays alluring aromas and flavours of red currants, new leather, coffee, vanilla, and a classic touch of roasted bell pepper. Exquisite with beef fajitas. Now I have to learn how to make fajitas – the food as fun to eat as it is to say – if you try to sound like Speedy Gonzales when you say it. 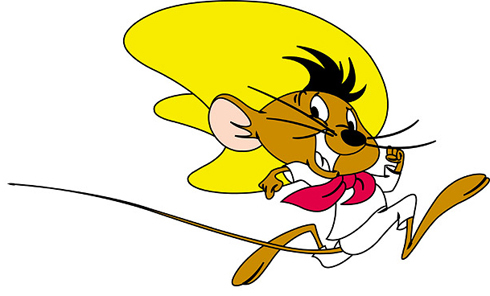 This wine is so good it makes Speedy Gonzales look like Regular Gonzales. How in the world did I start off this blog with a nice bottle of wine and end up with the fastest mouse in all Mexico? This sale is loco.